Our Bodacious Dog Mom Life: I Didn't Do It Mom. Really. What Makes You Think I Did? I Didn't Do It Mom. Really. What Makes You Think I Did? Unlike Coco, our first kid, Sophie, our second, is very food motivated. She. Loves. Food. 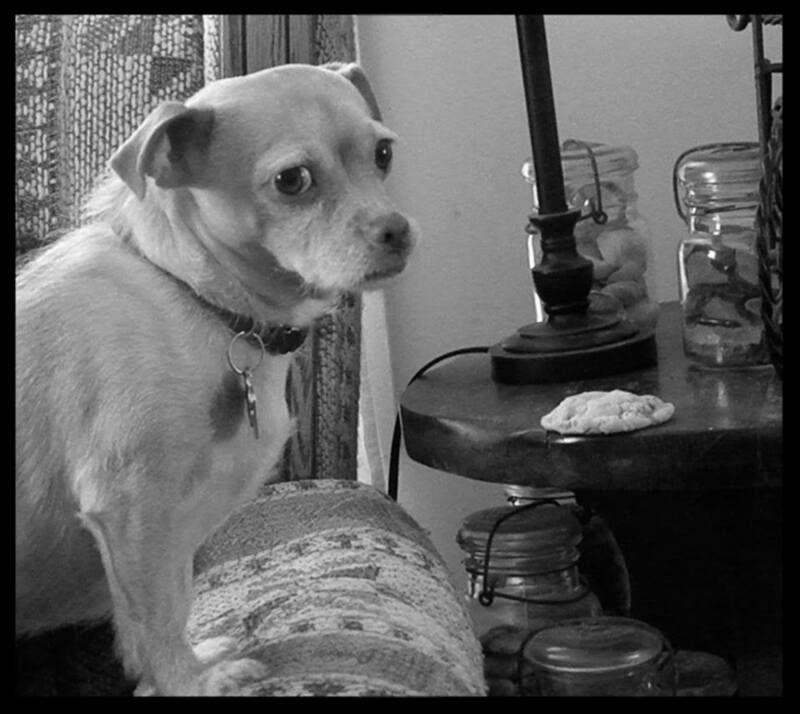 Prior to Sophie joining our family, we didn't have to worry about leaving food on the end tables or within reach of Coco. We could have left a plate of food on the floor, left for an hour, and come back to the plate of food untouched. That all changed when Sophie joined our family. What's funny is she won't clear a plate. Sophie takes one item off the plate and brings it to another room. We discovered this early on when she "stole" a roll with butter from Lisa's plate one evening last summer. Lisa had left the plate on the end table while running to the kitchen for a drink. I was at my desk working. Sophie pulled the roll down, dragged it into the bedroom and separated the slices. She wanted the butter. Lisa noticed her roll missing and we quickly found the culprit. There she was with her separated roll and butter. We laughed. We never get angry at stuff like that. A few months later, the same thing happened with a bakery bagel I left on the end table. Someone knocked at the door. Five minutes later, Lisa and I returned to the living room. 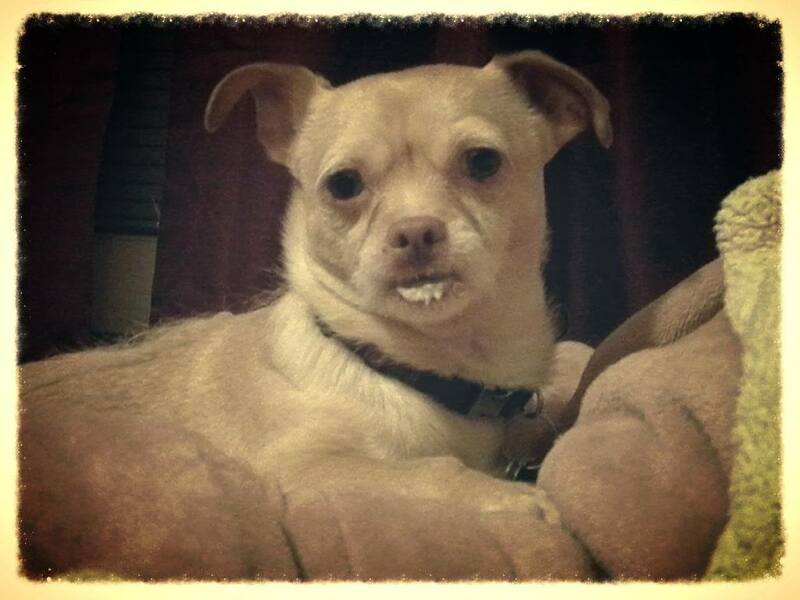 Sophie was in the middle of the sofa, had the bagel separated and was licking the cream cheese. The 3 kids and I enjoyed the remainder of our cream cheese-less bagel. Lobo isn't able to jump on the sofa or reach anything higher than his head. The only time he has swiped anything was about a week after he joined our family. He was on the sofa with me. I left to grab a cup of coffee from the kitchen. 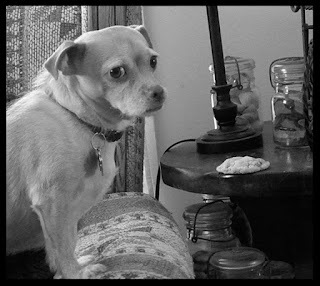 In that short period of time he had grabbed my tomato sandwich off the end table, separated it and was licking the mayo. 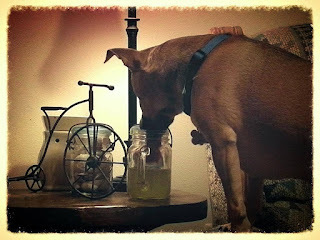 While Coco isn't one to swipe food within reach, he does like to drink out of our cups if we're not paying attention. 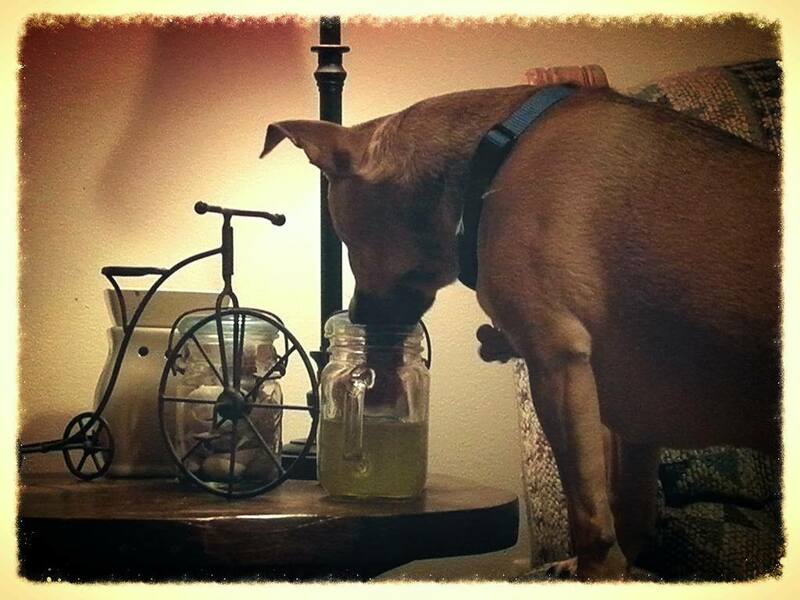 Yes, that's his tongue dipping low into the mason jar.